India will overtake China as the world’s most populous nation by 2022, says a new UN report that revises its previous estimates, which put the date around 2028. In 2015, India had 1.311 billion people, according to the UN’s new estimates, against China’s 1.376 billion, a difference of 65 million. (35 percent of the Adult Indian Population Consumes Tobacco)India was earlier estimated to reach 1.35 billion by 2020, against China’s 1.43 billion. Only by 2028 was India estimated to have 1.454 billion, against 1.453 billion in China. If the new projections hold good, India will also be – or continue to be – far more densely populated than China. India’s population density is already more than double that of China’s, which has 141 people per sq km against India’s 382 people per sq km. India’s population ascendancy was first estimated to take place in 2050, then gradually lowered to 2040 and then 2030, said Prof Siva Raju, Chair of the Centre for Population, Health and Development at the Tata Institute of Social Sciences in Mumbai. But the UN’s projections have changed, with China’s population growth rate decelerating much faster than India’s, which explains why India will top the world’s list in 2022. The two giants, China and India, now have 19 percent and 18 percent of the world’s population, states the UN report released on July 29. China’s fertility rates – the average number of children a woman can be expected to bear during her lifetime – have dropped much lower than India’s, which is why its population is growing less than India’s. Overall, India had seen an appreciable decline in its fertility over the years to 2.48 from 5.9 in 1951, though that process was faster in China, which had a fertility rate of 6.11 in 1951. India’s higher fertility contributed to the higher population growth. Lastly, the population growth of China in recent years was mainly due to “population momentum” (the population’s total fertility has fallen below the replacement level since the early 1990s) and this will also contribute to the population growth in India for the coming decades. Over the last decade, from 2001-2011, India’s population grew at only 1.64 percent per year against 1.96 percent in previous decade. Government’s estimates overwhelmed – or are they? In May, Health Minister J.P. Nadda told the Rajya Sabha that India’s population would cross China’s by 2028. He cited the UN’s 2012 Revision. However, he defended the government’s population control measures, which lowered the decadal growth rate from 21.54 percent for 1991-2000 to 17.64 percent during 2001-11. Some experts believe that the UN’s revised estimates are just projections, which may or may not materialise. India’s population will certainly overtake that of China’s, but the exact year could vary. The revised estimates are a revision based on actual growth, which is different from the growth projected earlier, according to Sona Sharma, Joint Director, Advocacy & Communications of the Population Foundation of India, a Delhi-based non-governmental research group. India wasn’t growing faster than imagined; its decadal growth rate had declined, she observed. India’s bulge was also due to its huge population of young people in the reproductive age, which contributed to its population momentum. China’s was a hugely mixed story, Sharma believed. It had developed at the grassroots since the 1970s by investing in education and health, unlike India. Its fertility rates began to decline even before the imposition of the one-child policy. Most in India would find this policy undemocratic in that it deprives a family of taking its own decisions about having more than one child. 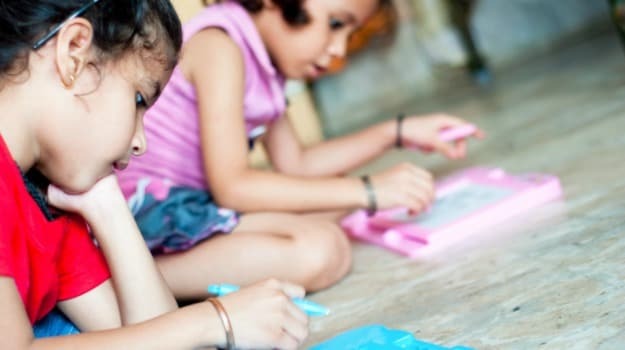 However, India’s family planning programme – one of the first and biggest in the world, when launched in the 1950s – suffered a setback during the forced sterilisation of women and men during the national emergency between 1975 and 1977, the 40th anniversary of which was observed in June. Kerala and Sri Lanka have proved exceptions in that they reached the replacement level of 2.1 (children born to a woman) even before China. All the southern states, except Karnataka, are on the same path, asIndiaSpend previously reported. As we can see, the population in the southern states is stablising, even falling below replacement levels. It is the northern states, primarily, with their still-high fertility rates-although these have dropped-that continue to boost India’s population. PM Modi loves to say that India has the largest educated 20 something population in the world, because he does! India has never mandated the number of babies a family can produce. It is a democracy that is a private decision, unlike the government mandated one child policy in China. There have been some experimenting in reproduction in some of the states in India. One state in the north participated in gender selection, aborting girl babies. Much of this was due to the cost of girls in dowry and marriage. This is illegal in India (cost of marriages) but old traditions are hard to eliminate. A lesson was learned when all those boys grew to marriage age and there were not enough women. Faulty long range planning! We met a woman gynecologist at a dinner party. Her story was about families celebrating the birth of a boy with family and friends in a special party room in the clinic, but silence and long faces with the birth of a girl. At least the girl is being given a chance at life by her family. Hopefully cultural actions and thinking will change to include human rights for girls as well as boys! This entry was posted in Amdavad, empowering women, India, Religions of the World, Travel, Uncategorized and tagged China, feeling the multitudes, fertility, food, India, India passing China in Population, population, population mandates. Bookmark the permalink. Hi Hira, I would love to hear more. . . . . .